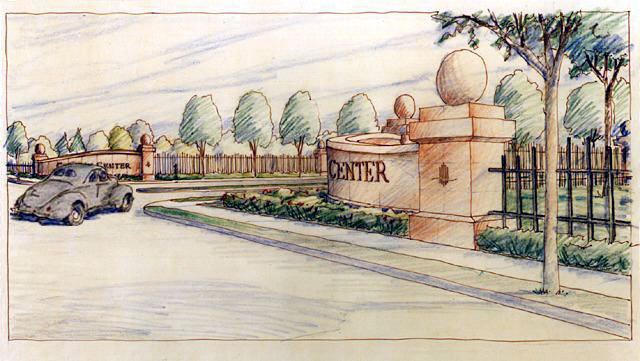 This illustration was part of a series of sketches to visualize various approaches to the signage and landscaping for a commercial business center. This sketch was done on yellow tracing paper with sepia ink line art and color pencil shading. I used a 1940 Ford coupe just for a little whimsey.